For many seniors, the thought of leaving their homes to move into a senior living community is unsettling. It’s widely assumed that the only other option when moving out of one’s home is to move into a nursing home. Adult children, also unaware of the range of choices, often put off discussions of moving parents into a senior living community due to the misconceptions associated with nursing homes. However, this doesn’t have to be the case. Never before have there been so many choices and solutions for retired seniors looking to make a move. People often overlook one of the fastest growing options in senior living: independent living communities. Independent living communities offer a solution for seniors looking to simplify their lives but who don’t need the individual attention found in nursing or assisted living homes. These independent living communities feature a variety of resident options, from studios and roomy two-bedroom apartments to cottages and other stand-alone structures. Management staff generally keeps a watchful eye over residents, and most communities have 24-hour staffing and building security. In an independent living community, residents maintain their independence, living in a private home, apartment or suite, coming and going as they please and making the choices that are right for them. Sometimes known as retirement homes or 55 and over apartments, these communities do not offer health or nursing care or assistance with activities of daily living such as bathing, dressing and medication management. People who require that level of assistance may want to consider an assisted living community instead. Who Should Move to an Independent Living Community? 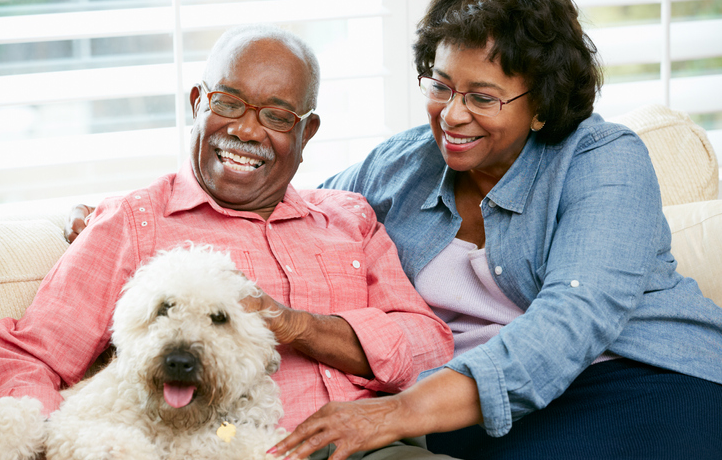 Independent living communities are often the best senior housing option for active adults who want built-in community and privacy and do not require active levels of assistance. Independent living community staff will take care of the grounds and common areas, and housekeeping may be an option in some locations, but you won’t receive assistance with daily living such as ensuring medications are managed, help with bathroom or bathing needs or regular assistance with mobility. At the same time, these aren’t always simple retirement communities that gather seniors in a like-minded neighborhood. They are a bit more formal than that, so you can expect services such as meals and dining, scheduled social activities and transportation to events or appointments if needed. When you think about moving out of your home, worries come naturally. Who wouldn’t feel trepidation when considering so many options and weighing so many priorities? Here’s the thing, though, every independent living community is different, and what’s a new idea in one may be the most popular option in another. You can find the choice that’s right for you. The best thing to do first is understand what types of amenities and services you want so you can look for independent living communities that meet those needs. This list of seven common benefits of independent living communities help you understand which types of services and amenities you might want to look for. One reason folks often hesitate before making a move into an independent living community is worry over potential isolation. First, they may worry that they’ll be removed from their existing neighborhoods or social structures. Second, they may mistakenly believe a facility or community for seniors will be either limited or depressing. Nothing could be further from the truth when it comes to most independent living communities. They’re set up to promote active, social lifestyles, but you’re still in control of that lifestyle. Here are just some of the social and activity benefits you can get from many independent living communities. You can invite guests to spend time in your residence. You can come and go as you please, even driving, if that is applicable to you, to take part in your regular lifestyle. Community staff provide planned events both on the premises and in the nearby town or city, making it easy for you to engage with new friends, learn new hobbies or attend local events. Many independent living communities have common areas and extra amenities, making it easy to socialize or stay active on your own time. This might include options such as exercise rooms, computer rooms, libraries, television and entertainment areas, salons or barber shops and restaurants or coffee shops. Some communities are near clubs or parks, letting you engage in outdoor activities including walking, golfing, tennis, frisbee golf or swimming. Not sure how you feel about these options or what you really want out of a community when it comes to socializing? Consider visiting a few independent living communities near you. Talk to residents, spend an evening in a group activity, such as attending a lecture or concert, or tour the facilities. You’ll quickly see how social and active you can be and learn which communities bet fit your interests. Meal options vary with each community. Some senior living communities including three meals in a common dining hall as part of the cost of living there. Others have meal options in facility dining halls that you can opt into on a regular, semi-regular or as-needed basis, and some independent living communities have more than one restaurant, cafe or coffee shop on-site to serve a variety of dining and snacking needs. But you don’t have to eat out all the time just because you opt to live in one of these communities. Many independent living facilities include residences with full or partial kitchens so you can cook for yourself or guests right in your own space. You may also be able to use communal kitchen areas to cook larger meals or host family for events. It’s important to understand what you want when it comes to meals and food because the options can vary. Will you ever want to cook for yourself? How much variety and choice do you want in your meal options? How often will you want to invite guests for meals, coffee or tea times? 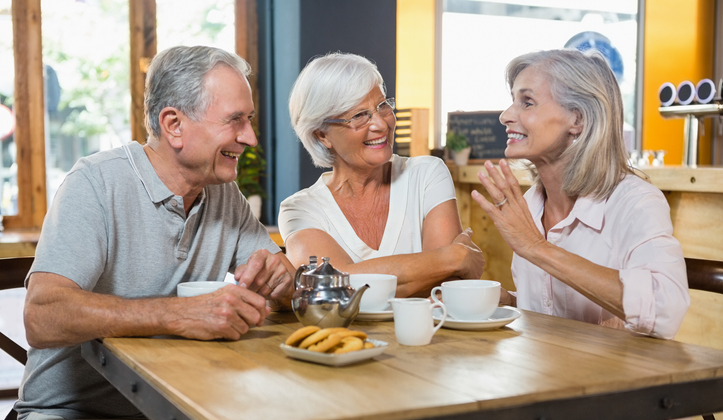 The answers to those questions should help you determine the type of dining amenities you want from an independent living facility so you can pick the right community. It may seem like a small thing to consider, but you likely eat a meal at least three times a day. You want to ensure the community you choose offers the right services for each of those times. 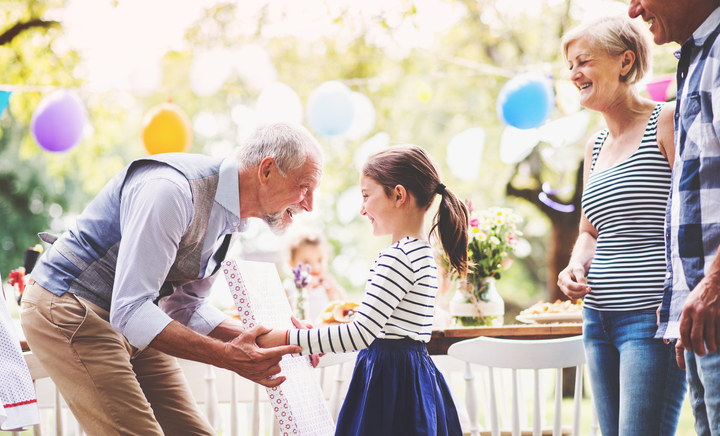 This one might be surprising to many seniors, but independent living communities are about setting you free from what might be holding you back from enjoying retirement years to the fullest. They aren’t about creating nonstop rules to limit that enjoyment, and the ability to have pets is one way many communities ensure that. Obviously, you do have to follow some guidelines for sharing space with others in the community, and the size of the pet may matter. Most facilities allow cats and small to medium-size dogs. Communities with more space may allow larger dogs, but unless you’ve found a specifically farm or agricultural community, you’re unlikely to be able to have a horse. Some communities do have community animals, though. That may include dogs, cats and even livestock, depending on the location of and type of community. These animals are often cared for by staff in conjunction with residents and enjoyed by all within the community. If animals are important to you, this is definitely a question to ask as you consider independent living situations. Each community may have its own restrictions or requirements. Senior experts say that independent living typically provides people more independence because it frees them from the bulk of household chores and maintenance. According to a survey conducted by AgeWave consultants, adults 65 and older who live in their own homes typically spend almost three hours a day on household chores such as cleaning, shopping, gardening and home maintenance. Women, on average, spend considerably more time than men, which may be why women often initiate the move to independent living. 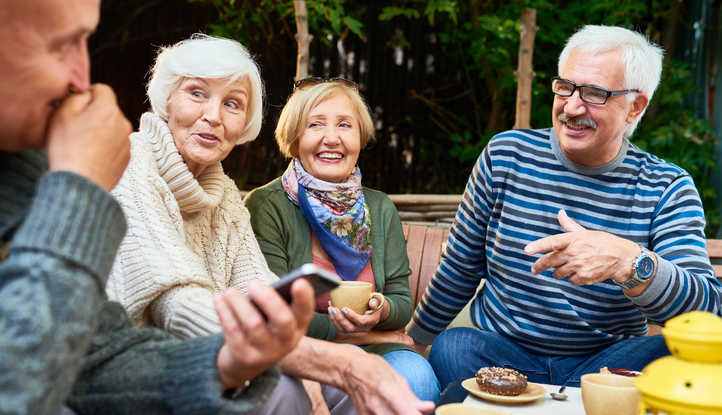 Meanwhile, on average, those same seniors reportedly spend just 30 minutes a day socializing with friends and family and just 15 minutes a day exercising or participating in a sport or physical activity. By contrast, those who choose independent living report spending upwards of three hours a day socializing and two hours a day taking a class or participating in an activity, with just one hour a day spent on chores. If continuing to participate in life outside an independent living community is your concern, that’s not a problem, either. Coming and going should be as easy to do as it is from your existing home. In fact, getting around may be easier if you prefer not to drive because transportation is often provided and many independent living communities in metro areas are purposefully situated for easy access to public transportations. And you can take advantage of all these opportunities for activity when you settle in an independent living community that offers housekeeping options. As with every other benefit on this list, the mileage varies depending on the community. General tidying up is left to you, which enhances your independence. You know where your things belong, and you can choose to put them there. Decide how much help you want with household chores, and look for an independent living community that provides those services. Kings and queens of hospitality don’t have to abdicate their thrones simply because they move into an independent living community. In fact, many of these communities are designed to promote additional socialization. If having family and friends stay for the night or a few days is important to you, it shouldn’t be hard to find an independent living situation where that’s not only possible but comfortable. In terms of space, it’s pretty much up to you — it’s going to be easier to have houseguests in a detached unit or apartment than in a studio, but the rules typically allow it either way. If you cook for yourself or eat in on-site restaurants, hosting family for meals is easy, even if they’re spending a few days. If you usually eat in community dining rooms, most offer a guest meal payment option so your loved ones can opt in to your normal meal routine. Whether you’re used to hosting 20 people for dining extravaganzas or like the option of your children or grandchildren spending a few days with you throughout the year, you can find an independent living community that offers the right options to support your lifestyle. Just as housekeeping removes inside chores from your to-do list and frees you up for socialization and activity, groundskeepers and maintenance staff take outdoor chores off your shoulders. This can be a huge benefit for seniors, who may not be physically able to handle jobs such as gutter cleaning or spring yard work or don’t want to pay someone regularly to do those things. And if you live in an area where winters regularly get white, residing in an independent living community could get you out of snow shoveling duty for the rest of your life. Some seniors may not want to give up all outdoor jobs, though. Gardening, for example, is a favorite hobby and stress reliever for many. Often, senior communities have shared garden spaces where you can cultivate and grow flowers, herbs or vegetables to share with your neighbors. General maintenance is another task that is typically taken on by community staff. Plumbing, electrical and other woes are no longer something seniors need to worry about when they opt for independent living in a retirement community. They can usually call the front desk or dedicated staff number to request someone attend to an issue, and the matter will be handled from there. Again, in the search for the right independent living community for you or your loved one, it’s important to know exactly what you want. Ask about maintenance, workflow and gardening at potential facilities to find a community with the services that will best support you. Finally, most independent living communities do have someone on staff or on call at all times of day. Unlike in assisted living facilities or nursing homes, the staff isn’t always going to be medically trained or licensed nurses. They will likely know basic first response techniques such as CPR, though, and certainly be trained to respond to urgent situations and facilitate calling and communication with EMTs. Plus, staff are available to ensure that residents’ questions are answered and that they know how to make use of amenities and arrange for work orders as needed. The annual cost of residence in an independent living community ranges widely depending on the type of services provided, the size and type of the accommodations, location and amenities. On average, annual costs can range from $12,000 to $42,000. Compared to costs for assisted living or skilled nursing homes, which can range from $28,800 to $66,000 and $86,000 to $90,000 annually respectively, independent living communities are generally more affordable options. You also may have some control over the costs of your independent living residence. Many of the services and amenities described above are optional add-ons in some communities, which means you can take an a la carte approach. By understanding what’s important to you, you can choose a facility that caters to your needs and build a selection of meal, dining, housekeeping, transportation and other services that work with your budget. Choosing a studio or one-bedroom apartment over a three-bedroom apartment or cottage is also a way you can control costs. While medical insurance doesn’t cover life in an independent living community (medical treatment is never involved in these situations), long-term care insurance often does cover some services in these facilities. If your long-term care insurance would help cover the costs of someone coming into your home to prepare meals, run errands or provide transportation assistance, it may also cover those same types of services performed by independent living community staff. Typically, this wouldn’t cover the total costs of rent or buy-in, but it could offset those costs. The same is true for Medicaid and veterans benefits that cover these same types of costs. Your existing home can be a great way to fund time in an independent living community. You can sell your property outright and use the proceeds to cover independent living community expenses. If you’re not ready to part with the home or don’t believe there’s enough equity in it to cover several years of life in a community, you might consider renting your residence instead. The monthly rental proceeds could cover a large portion, if not all, of your community costs. Another option related to your home may be a reverse mortgage, which lets you borrow against equity. This might be an option if you want loved ones to continue living in the home, but make sure you consult with a financial professional and understand all the requirements related to the reverse mortgage. To find an independent living community near you, search by zip code here in the Caring.com Independent Living Directory. Be sure to look for reviews of independent living communities written by other residents or their loved ones. Once you’ve narrowed your choices, take a tour so you or your loved one can see the amenities firsthand. 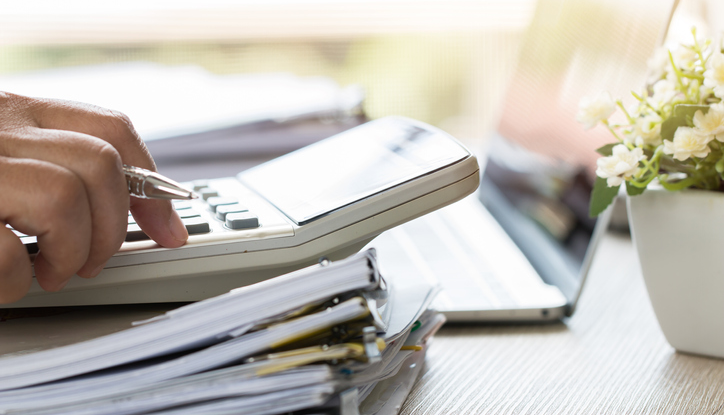 Ask for a complete cost analysis with every charge detailed, and be wary of extra fees or hidden costs. Many independent living communities also let you or your loved one stay as a guest for a night or two to get a better idea of what the lifestyle really feels like. Remember that this probably isn’t an emergency situation, and taking time to find the community that best meets you or your loved one’s needs is the best way to ensure long-term success and contentment with an independent living situation. 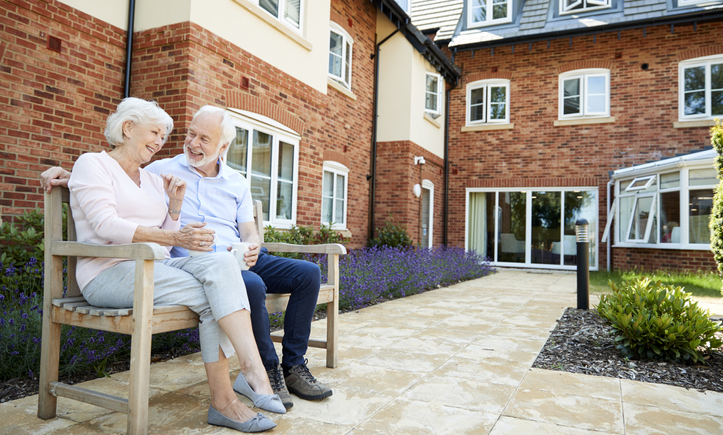 For information about finding an independent living community for couples, please visit our Independent Living for Couples Guide .